The R-53 Acne Vulgaris Drops has active ingredients that include Bromium 12X, Ammonium Bromatum 12X, Hepar Sulphuris Calcareum 30X, Juglansregia 30X, Kali Bromatum 12X, Ledum Palustre 30X, Natrum Muriaticum 200X, Natrum Bromatum 12X, Placenta Suis 12X, Viola Tricolor 12X. This homeopathic medicine helps in the temporary relief of symptoms associated with acne such as blackheads, pimples, and pustules. 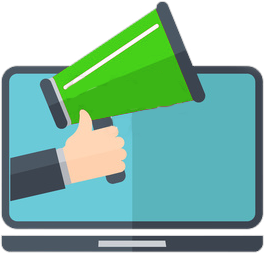 Do not use the product if symptoms aggravate or new symptoms occur. 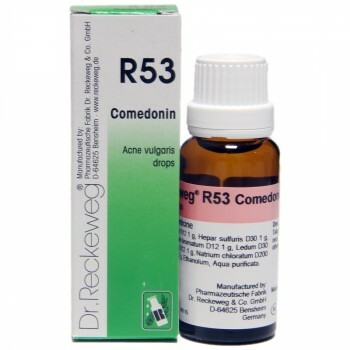 Offering R-53 Acne Vulgaris Drops 22ml with fast shipping in Karachi, Lahore, Islamabad, Rawalpindi, Peshawar, Quetta and many other cities of Pakistan.